Are you in the market for a new house? Looking to buy a green home made with eco friendly materials from an earth-minded realtor or home builder? Then I've got the perfect research and buyers guide for you. Here, you'll find all sorts of practical information for buying, renting, or building the perfect eco friendly home, regardless of your budget or space requirements. What does it mean to you to live in an eco friendly house anyway? 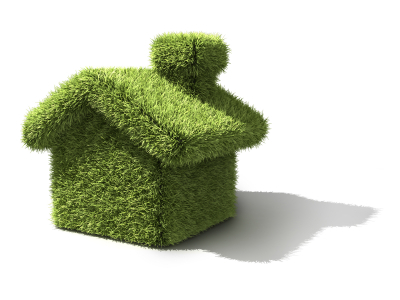 When you think of an eco friendly house, what's the first thing that comes to mind? When people consider what it means to live in an eco friendly house, their mind often goes first to some of the most popular green improvements that many people make to their homes to increase their green characteristics. As you can see, there's a variety of ways you can live in a green home, and it doesn't have to mean living in a space that's less beautiful or functional for your purposes. Let's explore each of these options briefly. Eco friendly homes can mean multi-family homes and prefabricated homes. By their very nature, multi-family homes are more efficient in terms of resource, energy, and water consumption. But what exactly is a multi-family home? It's a building in which several homes share common walls and rooflines, mechanical systems, and outdoor environments. These can be condo buildings, apartment complexes, fourplexes, and even duplexes. Prefabricated homes come with many of the same benefits since constructing them in a confined environment allows the companies to save energy and resources, although they don't come with the same space savings as multi-units. According to the Energy Information Administration, in a building with less than four units, a two-bedroom condo uses 13 percent less energy compared to a two-bedroom house, primarily because the heating and cooling needs are less. This is a result of having fewer exterior walls, fewer windows, and a shared heating/cooling system. Modern, eco friendly, multi-family homes also use less land, fewer construction resources, and less water, making them greener homes all around. American homes have been increasing in size ever since the 1950s, even though the average family size has continued to shrink. In fact, today, we generally have three times more square feet per person than we once did. More space means a greater loss of farmland and wilderness and a much higher use of construction materials. Smaller homes, on the other hand, stress the importance of using less space per person in order to conserve natural resources and land. Some people go to the extreme, living in 95 square feet or even less per person! But as the Small House Society notes, small really is a relative term. A small house for you may be a larger house for someone in another country. But if you're able to downsize compared to your neighbors, you could reap the rewards in the long run. Think of the money you could save on utility costs, furniture, and other household expenses? Choosing a house without a formal dining room if you never entertain. Opting for a house with a living room or a family room, not both. Getting a house with just enough bathrooms rather than one for each person. Asking children to share rooms as appropriate. Eco Friendly Homes Can Be A Part Of "Intentional Communities"
If you're really committed to finding green, eco friendly homes, you may wish to seek out an intentional community to join. 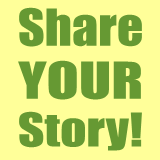 These groups of families live in eco villages, cohousing arrangements, communes, or alternative communities. Each of them stresses the importance of social, political, spiritual and ecological sustainability and so the groups are normally based around shared ideals. Sharing common spaces, like sitting areas and kitchens. Pooling tools and resources, such as lawn mowers, appliances, and vehicles. Choosing somewhat smaller individual family space like a townhouse (they are usually 150 square feet smaller than a family in a single-family detached home). Grow their own food together. 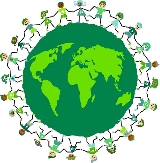 Work together to recycle and compost most of their waste. All of these principles come together to equal an entire community that's focused on living lives with less impact on the world. They take the term “eco friendly home design” to a whole new level. Leadership for Energy Efficient Design (LEED) is the leading program for both commercial and residential green building certification. These can be obtained for new single-family homes, condominium buildings, apartment complexes, duplexes, and others. 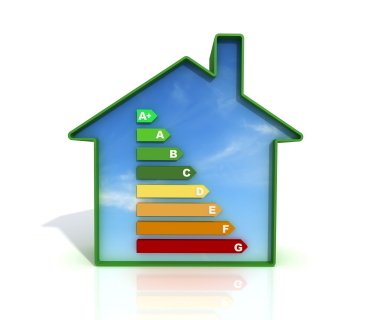 ENERGY STAR has a rating system for new and existing homes that meet four guidelines for energy efficiency. They also have an ENERGY STAR Indoor Air Package that addresses indoor air quality. The National Association of Home Builders (NAHB) also have a set of Green Home Building Guidelines that employs a simple online scoring tool. Choosing a home that already has one of these certifications, or opting to retrofit your home to become an eco friendly green home is a great way to ensure you're using as little energy, resources, and water at home as possible. Today, there are many savvy real estate agents who realize that there is a growing interest in the eco friendly homes for sale. They have recognized the niche that is green home buying and building and have chosen to specialize in this field in order to carve out for themselves a specialty that is certain to grow exponentially over the next few years and decades. Extremely energy efficient: they have systems in place to restrict the amount of energy they consume daily. Very water efficient: they use much less water than the average home. They use materials that will not pollute the indoor air: such as low-VOC paints, stains, glues, furniture, carpeting, flooring, cabinetry, and more. They use materials that are sourced sustainably: such as materials that contain substances that are either recyclable or biodegradable and that were made with the least amount of energy, water, and chemicals. Homes that produce their own energy: whether through solar electric systems, solar thermal systems, wind turbines, or geothermal heat pumps. Those that care for the land they are being built on. Those that minimize and recycle construction waste. With these characteristics in mind, a green realtor will be able to look through their listings to find homes that have these features. They understand inside and out what an eco friendly home design looks like and can ferret out the genuinely green options on the market. Earth Advantage's S.T.A.R. Workshop is a two-day sessions realtors can attend to learn about the basics of eco friendly homes: air quality, energy and water conservation, resource efficiency, and environmental responsibility. 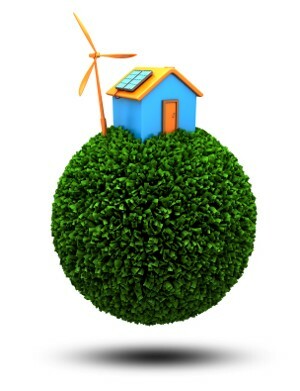 The EcoGreen Real Estate Agent Certification Program trains realtors to be fluent in a variety of environmental issues, including home energy efficiencies, water conservation and filtration, indoor air quality, green building and remodelling, green home search options, marketing skills, and more. EcoBroker International has a certification program that ensures its real estate agents have completed at least 18 hours-worth of online classes on various environmental issues, cutting edge green building technologies, and green mortgage options. Realtors who attend the Real Estate Environmental and Energy Education Certification series offered by Green Real Estate Education will also get to find out about green buildings, sustainable construction, and the other important environmental issues related to eco friendly houses noted above. Locating a real estate agent with any or all of these training and certificate programs under their belts will have an edge and be able to give you expert advice in finding that perfect eco friendly home for your next move. When you think about going green at home, it can seem a bit overwhelming the sheer number of changes that need to be considered. However, you can take a deep breath and relax knowing that tiny changes each day can make a huge impact over time. If you would like to create a healthy, eco friendly environment in your home there are simple steps you can work into your routine and will even save you money in the process. One easy adjustment to put into action is to review the cleaning products that you use around the house. Better indoor air quality in your home. Less pollutants in your home and less pollutants in your trash bags leaving your home for the landfill. Reduced petroleum derived products in your home and environment. Reduced amount money you will spend on fancy well marketed bottles of commercial based cleaners. A chemist once told me that the cleaning isle in the supermarket should be called "The Great American Rip-Off Isle". You can save money by making some of your own cleaners with some fairly simple recipes. The first step is to assess what is in your cleaning bucket and read the labels. If a cleaning product has a label that says 'POISON', 'TOXIC', or 'DANGER', these things don't simply fade away into the air after use. Besides the added benefit of preventing accidental poisoning of children, you can clean just as well with ingredients nature has created for us.